Constable in Canadian Police, Niran Jeyanesan and his partner were called to Walmart on the night of August 6. A young man of about 18 years had been caught shoplifting by the store’s loss prevention officer. During the investigation Niran learned that the teen shoplifted a shirt, a tie, and a pair of socks because he had no money to buy a suit for his job interview the next morning. And this magnanimous Constable of Sri Lankan origin did what he thought was only was necessary. Niran went back to the mall, bought the items the teen had tried to shoplift and arranged it so that the boy would receive it anonymously. A cop in Toronto became a sensation last week after an act of kindness. The cop himself did not expect that his anonymous gesture of goodwill, would go viral. “I did not expect what I had done would receive so much attention,” Constable Niran Jeyanesan told the Nation. What he did was very simple. He purchased a shirt, a tie, and a pair of socks for a teen who had attempted to shoplift the very items. his early teens, after which he left the country. After completing his education abroad, he settled in Canada and has been living there for many years. But everything changed for Niran last week. He was appreciated, admired and congratulated for his thought act of kindness. But that was not all, his name was picked up by local and international media outlets making him aheroovernight. It all started when Niran and his partner were called to Walmart on the night of August 6. A young man of about 18 years had been caught shoplifting by the store’s loss prevention officer. The items that the teen had lifted included a shirt, a tie, and a pair of socks.Niran during the investigation learned that the teen needed an outfit for an job interview the following day and was forced to resort to shoplift since he had no money to purchase them. “His family was having their own problems and he badly wanted to provide for his family,” Niran said. The teen was then let go without any charges filed against him. But, he did not leave empty handed. He went home with the items that he needed thanks to Niran’s act of kindness. Niran had in fact gone to the mall and had purchased the items and had given it to another officer to be given to the teen. Niran had requested the officer not to divulge that it was he who had given the items. But, the story panned out differently and today Niran has become an online sensation overnight. However, Niran has been modest about his act and said that he merely did what he thought he had to do. “The main thing is that we are here to help the people, and that is what I did. I did not do anything extraordinary,” Niran said. “I appreciate the public’s support and its outlook into this incident. It truly humanizes those who we think as bad,” he said. But, not everyone bothers to lookfor reasons behind an act which is against the law. However, Niran says that understanding the situation of the person was important. “Everyone has his or her reasons and everyone has his or her own story. In this case I was able to use my discretion,” Niran added. However, Niran also understood the fact that merely discharging him would not solve the issue at large. The teen was struggling and merely discharging means that he would have to go back to leading a hard life. “As the police we are here to enhance people’s lives,” Niran said. His father, Rev. 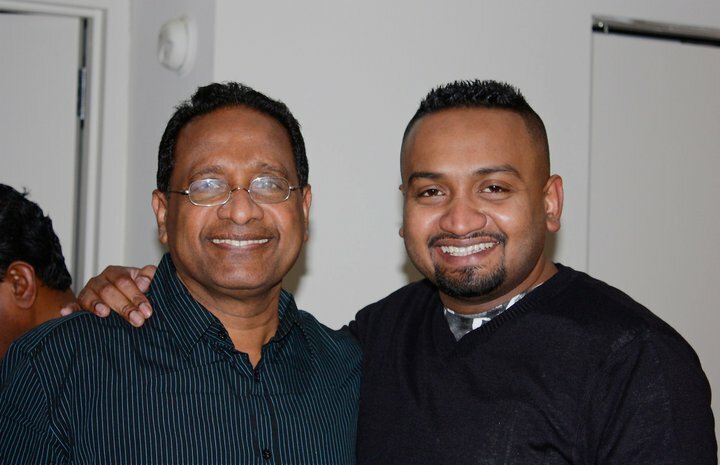 Dr. S. Jeyanesan, is a pastor in Sri Lanka. Speaking to the Nation about his son, Rev. Jeyanesan said that he was proud of his son, adding that this act did not surprise him. “He has always cared about other people,” said the senior Jeyanesan. There have been many instances when the father had witnessed his son’s caring nature even during his childhood. I am proud of the fact that he continues to be that person today,” he said. We live in a world where violence is rampant. Even those at home could witness acts of violence in its raw form thanks to the evolution of social media. But amidst the negativities, there are acts of kindness and generosity, some of which go unnoticed as they are not caught on camera or shared. What makes Niran’s simple gesture special is the fact that he showed the world that one does not have to save the world to be a hero. But he did his little bit to save the world of a teen who was fighting with life, struggling to provide for his mother and sister.